Updated November 9, 2017: Intel and AMD are working together on a mobile chip? Nvidia have sided with the Galactic Empire? 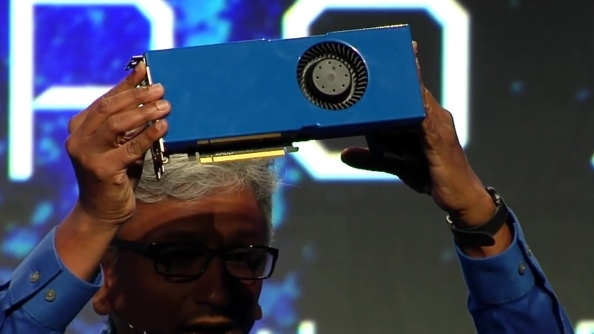 And now AMD’s graphics card guru, Raja Koduri, is leaving the red team in favour of greener pastures at Intel? What next, Intel’s failed Larrabee project rising from the grave to compete with Nvidia? Yeah, right. Current graphics card struggling with the latest titles? Here are the best graphics cards on the market today. Anyway, Intel have confirmed Raja Koduri’s move from AMD’s Radeon Technologies Group over to Intel’s newly-formed Core and Visual Computing Group. His new position, while similar in title, is unifying and pushing Intel’s graphics department into entirely unknown territory, and will be a considerable mountain to climb even for an industry veteran like Koduri – despite Intel’s deeper pockets. Intel are hoping Koduri’s expertise with graphics architecture will turbocharge their efforts in “computing, graphics, media, imaging, and machine intelligence,” while undoubtedly a large focus of their plans for Koduri will be Intel’s ever-growing artificial intelligence and machine learning efforts. Intel’s previous ventures into graphics and non-x86 core-based computing have been few and far between. Their last attempt at a discrete GPGPU, Larrabee, found another life in Xeon Phi, and Intel have been consistently developing AI-capable chips with Nervana and Movidius. While these projects have been somewhat successful in their own right, they have lacked any semblance of unity or direction. Koduri, and likely whichever fellow-AMD employees he takes with him, can offer that much needed direction. What Intel are planning for their newly-created graphics division is uncertain. In a similarly shocking move earlier this week, Intel announced they were teaming up with AMD on a processor/graphics hybrid for Intel’s mobile platform, but it is likely that they will be looking to continue these efforts going forward. We may even see powerful heterogenous Intel APUs in the near-future. Intel also look to be diving head-first back into discrete GPUs with their latest announcement. WIth Koduri on the scene, they certainly have a head start in development, but even a best case scenario for a functioning and competitive GPU could be years down the line. Will this be our Larrabee 2.0 rising from the ashes? Possibly. Intel are aiming for “high-end discrete graphics solutions for a broad range of computing segments,” and it’s difficult to interpret this other than going head-to-head with Nvidia for top-end graphics. Original story November 8, 2017: After a brief leave of absence for some much needed family time, stalwart AMD senior vice president and chief architect, Raja Koduri, is stepping down permanently from Radeon Technologies Group. The man in charge of AMD’s latest Vega architecture is looking to explore wider opportunities, as mentioned in a memo acquired by Hexus, and it just so happens that these new horizons may be with Intel. 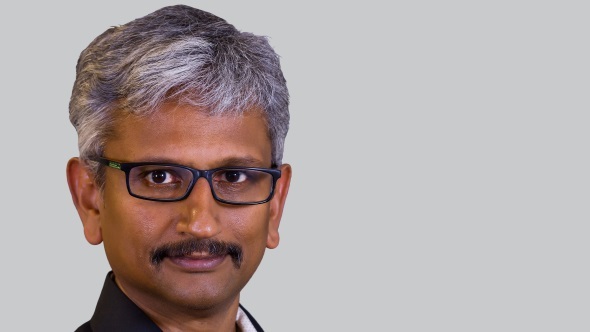 Since Vega’s launch Raja Koduri has been on a temporary leave of absence from the company, citing a need to reconnect with his family after an undoubtedly hectic development schedule. During this time, AMD CEO and president, Lisa Su, has taken the helm of Radeon Technologies Group. With Koduri now stepping down for good, Su is continuing this position, although actively looking for a replacement. AMD’s Navi graphics architecture will be well into the development cycle by this time, with Koduri steering the ship until this point. At such a crucial time for development for Navi, any potential downtime could have an impact on the eventual product. Hopefully, the Radeon Group manages to find a surrogate mother hen for their upcoming architectures sooner rather than later, for both AMD and the customer’s sake. In addition to this news, there are rumours from sources close to Wccftech that indicate Raja Koduri may not be out of the spotlight just yet, at least for hardware enthusiasts, as he is now expected to be heading over to rival Intel. With Intel and AMD just announcing the hottest collaboration this side of silicon valley, the assumedly named Kaby Lake G, this move could make for a good fit for Koduri and his expertise. Intel have been targeting AI and parallel computing recently, and their escapades into GPGPUs haven’t fared so well in the past. Nvidia have quickly occupied the top spot for AI dominance, at least in the eyes of investors and financial analysts. Their history in parallel GPUs has made the transition from graphics to AI a breeze, and Intel have been well aware of this for quite some time. 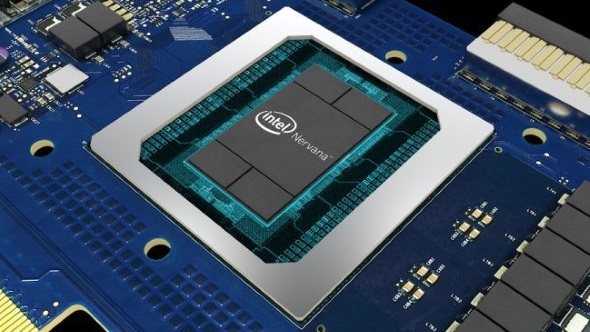 Now with their Nervana AI chip, Intel are taking on the top chips Nvidia have to offer to fight for their place in a future where AI runs the world – I, for one, accept and respect our machine overlords. With years of GPU engineering knowledge and know-how, Koduri is a prime candidate for Intel, and with their considerable bank account supporting him, the move could make for quite a deadly combination. 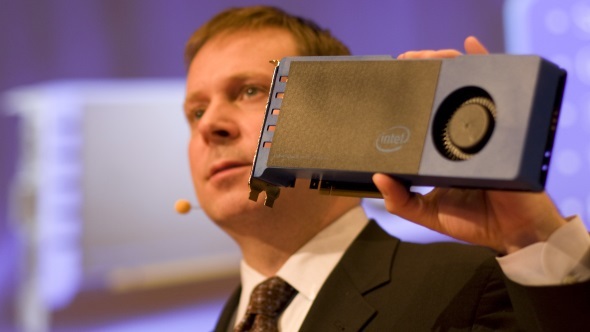 However, Koduri may be leaving most of the development to Intel’s engineers for the time being. It’s a shame to see Raja Koduri leave the red team, he’s been a welcoming and friendly face for Radeon, and AMD as a whole, for quite some time. But who knows, maybe the move could usher in a new era of corporate collabs and cross-development that may end up working to the benefit of end users. Hopefully his replacement, whoever that may be, can keep AMD’s recently supercharged momentum going strong into the new year and beyond.